With the minor league seasons having reached completion, it is time to determine the Blue Jays minor league players of the year -- both hitter and pitcher. Unlike previous years, there are a wealth of candidates for these awards thanks to the overall depth of the farm system. In addition to the shear number of prospects, many of the high upside prospects had big years, causing the farm to look even better. In terms of both tools and numbers, Hutchison took more of a step forward than any other pitcher in the Blue Jays system. The former 15th round pick had a strong debut season in the low minor leagues in 2010, but exploded onto the scene in 2011. The vast statistical improvements were driven by an upgraded pitch arsenal. Hutchison added significant velocity to his fastball, up to the 91-95 mph range after sitting in the high 80's previously. Additionally, both of his off-speed pitches (slider, changeup) made strides, with Hutch showing an ability to locate them for called strikes or make hitters look foolish on swings and misses out of the zone. Hutchison had no issues with the long ball. Due to the strong movement on his pitches and plus command, he allowed only 4 home runs in nearly 150 innings. 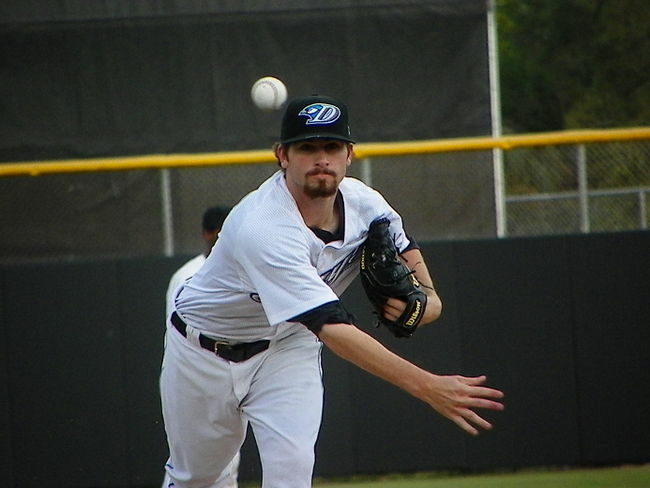 Hutchison's season was highlighted by a streak of six-plus scoreless starts, which drove his promotion to Dunedin. He continued his mastery in High-A before earning a late season promotion to Double-A where he made three dominating starts before being shut down due to his inning limit. The second candidate is Nestor Molina, and like Hutchison, he too climbed multiple levels during the season before finishing with New Hampshire. Molina's success was driven by a combination of his impeccable control (1.10 BB/9) and a devastating changeup which makes up for his average fastball. Similar to most young Blue Jays starters, Molina carried an innings limit throughout much of the year, which resulted in a lot of quick 5 innings starts. Despite those restrictions holding him to only 130 innings, Molina still finished 3rd in the entire Blue Jays system with 148 strikeouts, behind only Drew Hutchison (171) and Joel Carreno (152). Next year will be a big test for Molina, as it is probable he will see his innings restriction lifted. More innings will result in more exposure and more lineups seeing him for a 3rd time during his starts. It will be important for Molina to futher develop his breaking pitch. The Blue Jays 2010 first round pick had a successful debut season. Despite his polish, he was assigned to High-A Dunedin out of spring training and cut Florida State League hitters apart. 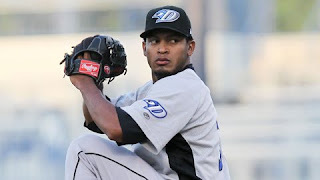 In late July he received a well deserved promotion to join a loaded Fisher Cats pitching staff, but unfortunately was hit by a line drive in his August 7th start which forced him to the minor league disabled list for the rest of the month. His Double-A numbers were not on par with his High-A numbers, with the biggest issue being home runs. 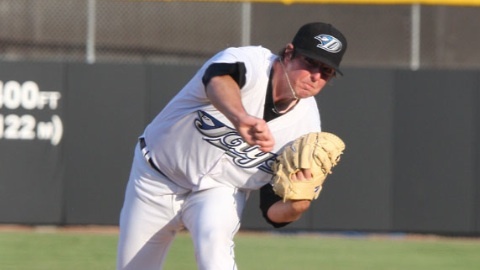 In 104.2 innings with Dunedin, McGuire allowed 9 home runs. In only 20.2 innings with the Cats, he allowed 4 home runs. This was likely a combination of small sample size and an adjustment period to a new level, but it will be something to monitor when he spends most of his 2012 season with New Hampshire. In addition to having arguably the best statistical season, Drew Hutchison took the biggest developmental strides, all while advancing through three levels in the Blue Jays minor league system. 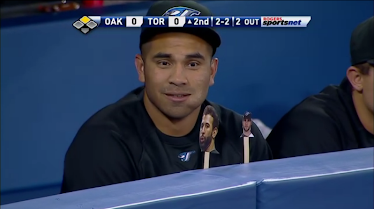 For these reason, Hutch is Toronto's Minor League Pitcher of the Year. He entered the year under the radar of most, but 2012 will be a much different story. The spotlight is now focused on him, and Hutchison must prove that this year was no fluke by continuing his success over a full year in Double-A with the pressure of a possible major league callup hanging over him. The Minor League Hitter of the Year can be found here.